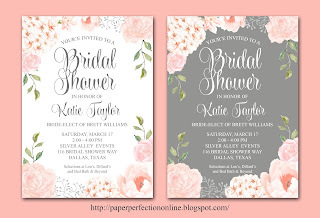 I love helping with local bridal shower invitations, and here are several that I created for two recent showers. 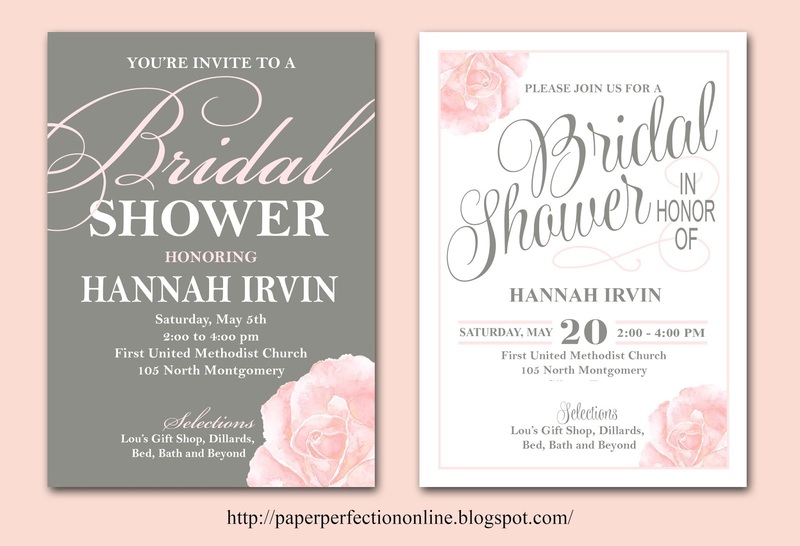 If you like any of these invites, contact Paper Perfection at jtanddolly@yahoo.com for pricing and details. 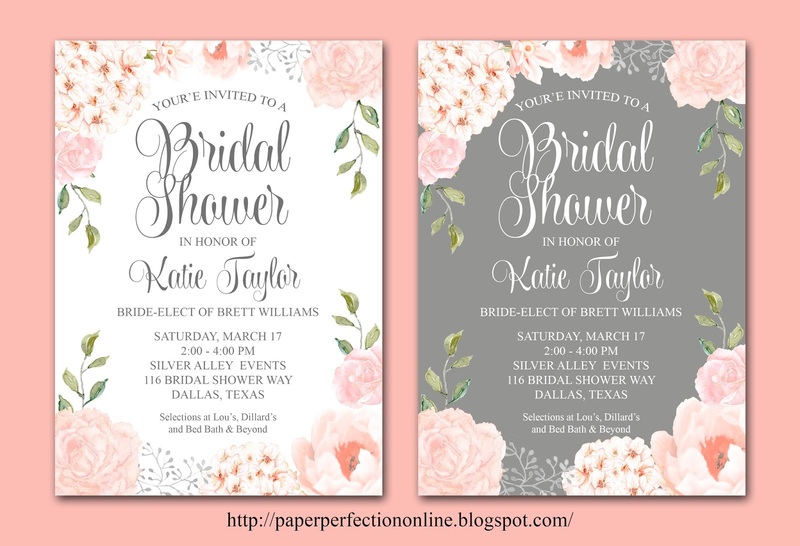 The price for these is a little higher than my normal invites as it includes the cost for purchasing the flower clipart from the artist.